This process will void your warranty and possibly “brick” you phone. Only attempt this if you’re willing to accept the risk. I’ve had my original Motorola Droid for over a year and a half now and I still love it. Up until now I didn’t want to ruin a good thing by “rooting” it. For those that don’t know what rooting is it’s basically opening up the phone OS so you can have total permissions. This allows you to do things that are considered outside of the intended functionality. I think the thing that finally convinced me was the fact all these new phones are coming out. 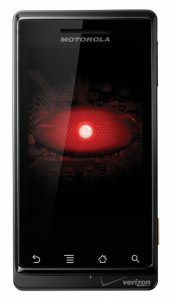 The DroidX, Droid 2, etc. They all have the ability to create a Wi-Fi hotspot which is something I have needed and wished my phone had. 5. Plug your phone into the USB port of your computer. Do NOT mount your SD card. 6. In your phone go to Settings -> Applications -> Development. 7. Insure that “USB Debugging” is not checked. For the purposes of this process I also checked “Stay Awake” so the screen stays on. 8. Run SuperOneClick and press the “ROOT” button. 9. The rooting process will now run. 10. If the process gets stuck on “waiting on phone” uncheck the “USB Debugging” option and re-check (clicking OK on the pop-up). The key is to have a bit of patience with it and eventually it will move on in the process and it will say “root successful”. Once my root was successful I noticed a new skull and crossbones icon in my apps. I was also able to install “Wireless Tether” from the Markeplace and it works perfectly!